Weekend 2 of the National Community Games finals was held last Saturday and Sunday at Athlone IT. We had a large group of athletes competing from the club this year from u8-16. Our u8 sprinters Katie Doherty and Cian Maye competed very well in the 60m and 80m, Cian making the A final finishing 7th and Katie making the B final finishing 4th. Lili O’Connor made it to the semi-final of u12 100m where she finished 5th just one place off qualification for the final. In the u14 100m Matthew Buckley and Ivie Okome both qualified from their heats and semis and in the final Ivie finished 5th and Matthew 7th, a great achievement as both athletes will be u14 again next year. Our u12 middle distance athletes Aimee Doherty and Tom Kilgannon had a mixed weekend; Aimee was very unfortunate in the heats of the 600m falling at the start and so did not get to finish her race. Tom ran a very good heat finishing 2nd looking very comfortable, however in the final he got off to a bad start, mainly due to the group start policy and he did not get into his running, finishing 8th overall. Both athletes are u12 again next year and will have gained from their experience, we hope that the Community Games will change their start policy for the 600m event from a group start to a staggered start to avoid future incidences. Our sprint relay teams got off to a great start on Saturday with all four teams qualifying from their heats. The U12 girls were going very well in the semi-final when disaster struck on the final change over and they were unable to recover in time to qualify for the final. The U14 girls and boys both ran well in the semi qualifying for Sundays final where the lads finished 4th and the girls finished 3rd in a very tight race. The relays were of a very high standard this year and it was a great achievement for both u14 teams to come away with national medals. Well done to the boys Kevin Conway, Kritsada Cooke, Matthew Buckley, Daragh Casey, Cian Maher and girls Emma Coroner, Ivie Okome, Lara Power and Aine Cooney. Unfortunately our u16 mixed relay team of Peter Kilgannon, Brian Kiernan, Lua Hendrson and Orla Hays had to withdraw from the final due to injury. The performances of the weekend came from Alex Hunter, Aine O’ Connor and Philip Maron, Alex took gold in the u16 Marathon with a strong display of running on a very tough course, Alex also claimed a second gold as part of the Meath Marathon team. Aine O’ Connor was very close to an individual medal finishing 5th in the girls u16 Marathon but was rewarded with a silver one as part of the Meath team. 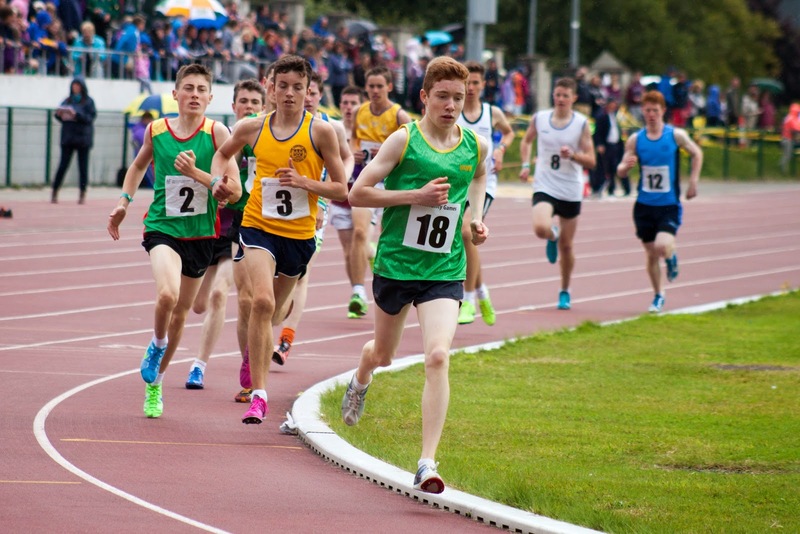 Philip Marron was very impressive in qualification in the u16 1500m on Saturday and in Sundays final he put in another great performance and was only passed in the last 50m of the home straight, Philip finished 2nd and was just outside his pb , a great run in difficult conditions. Well done to all our athletes who competed over both weekends.